Peaches are here! I know it’s not Monday but I recently made a version of this salad again and remembered how much I loved the flavor combination of this salad I posted a couple of years ago. 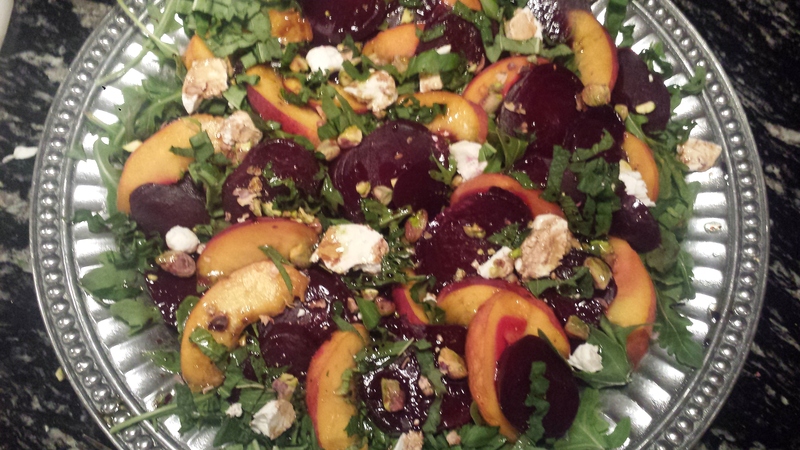 Sweet peaches, roasted beets, arugula, goat cheese and this time I used candied pecans. It’s now pretty easy to find beets that have already been roasted as a short cut. Enjoy!